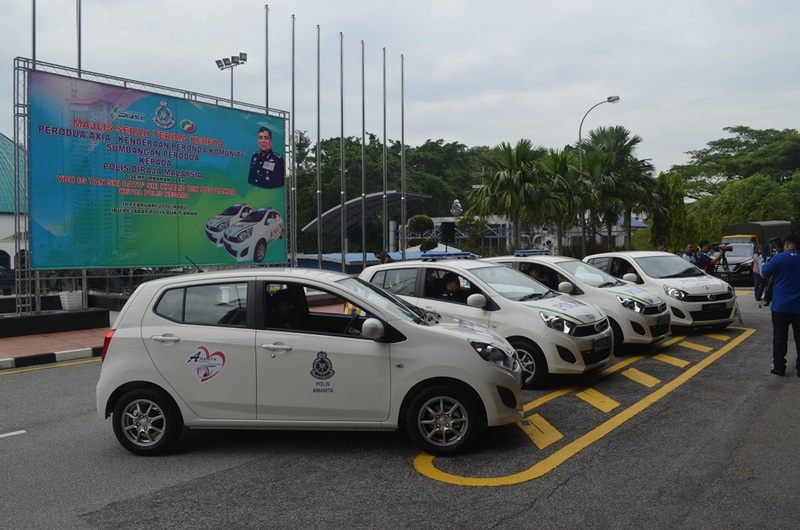 Perodua recently contributed 4 units of Perodua Axia to the Malaysia Royal Police Department (PDRM) to be used as community patrol vehicles as part of the police force’s continuous efforts in combating crime. 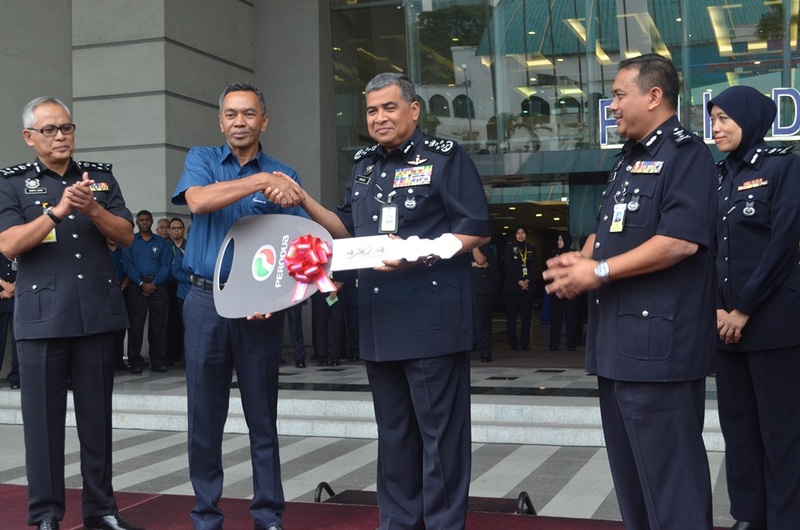 The 4 Axia was delivered at Bukit Aman, with Perodua represented by Dr Zahari Husin, Managing Director of Perodua Sales Sdn Bhd while accepting on behalf of PDRM is the Inspector-General of Police YHD Tan Sri Dato’ Sri Khalid Abu Bakar. “The 4 units are the first under the Perodua Axia model to be used by the police force in their efforts to keep communities safe. We hope that our contribution, which we wish to call ‘community patrol cars’ will assist our dedicated police officers while on duty,” said Perodua President & Chief Executive Officer Datuk (Dr) Aminar Rashid Salleh. PDRM will utilise 2 units of the Axia as a proper community patrol car for the Brickfields Police Station and the TTDI Police station each; while the remaining 2 units will be utilised by AMANITA, a special taskforce created by the police force to fight crime by engaging the community in general and housewives in particular. To this end, PDRM has assigned a female inspector as a “peace lady” to engage communities and housewives to uncover and solve unreported crimes. In total, the Malaysia Royal Police Department has been deploying over 670 Perodua vehicles in carrying out their duties in various capacities since 1995. “The Perodua Axia is Malaysia’s first Energy Efficient Vehicle (21.6km/litre) and it is an ideal patrol car as it is made for easy driving, handling and manoeuvring in high traffic areas,” Aminar said. In addition, the large boot space can accommodate police equipment with easy access and the Axia is highly suitable for rural and urban usage.